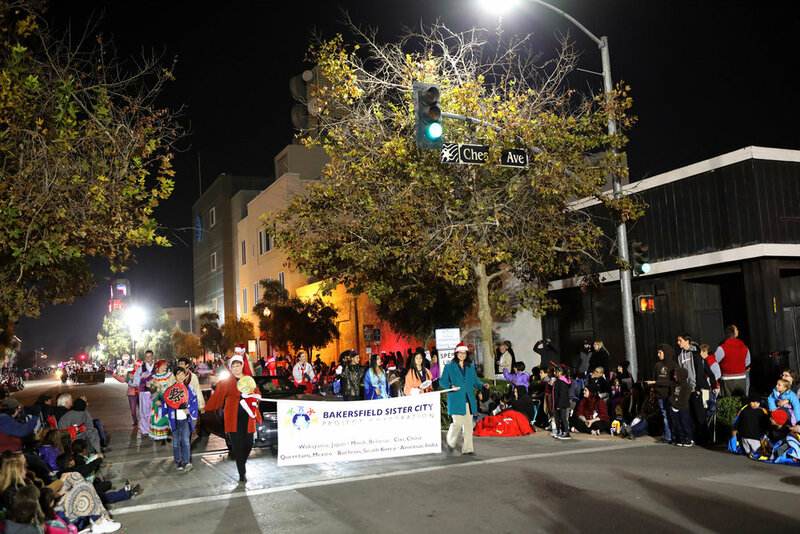 Nothing lights up a dark winter night like the sights and sounds of a festive Christmas Parade. 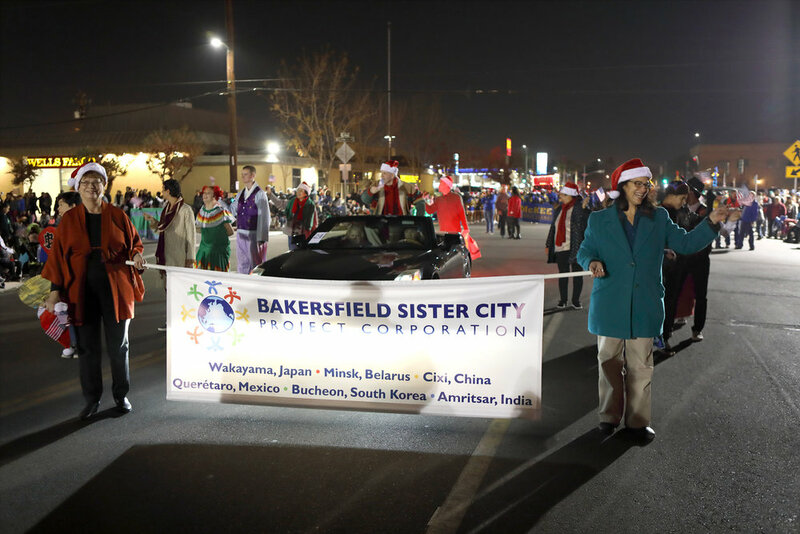 Folks of all ages will brave a cool winter breeze to gather along the streets of downtown Bakersfield in anticipation of the arrival of brightly decorated floats with their colorful characters and Jolly Old St. Nick in his bright shining sleigh. Join us as we watch the magic begin and ordinary streets turn into something very special. “A Patriotic Christmas” is the theme for this year’s event and some 100 entries will adorn the streets of downtown Bakersfield with Christmas themed floats, light displays, marching bands, drill teams, horse drawn carriages, community groups, classic vehicles, and live performances by local youths. What used to be just a GREAT PARADE has now become a destination for excitement and an afternoon and evening of fun for all! The Sister City program provides the opportunity both for cultural, educational, municipal, business, professional and technical exchanges between different cities and for local community development and volunteer action by motivating and empowering private citizens, municipal officials and business leaders to conduct long-term programs of mutual benefit. 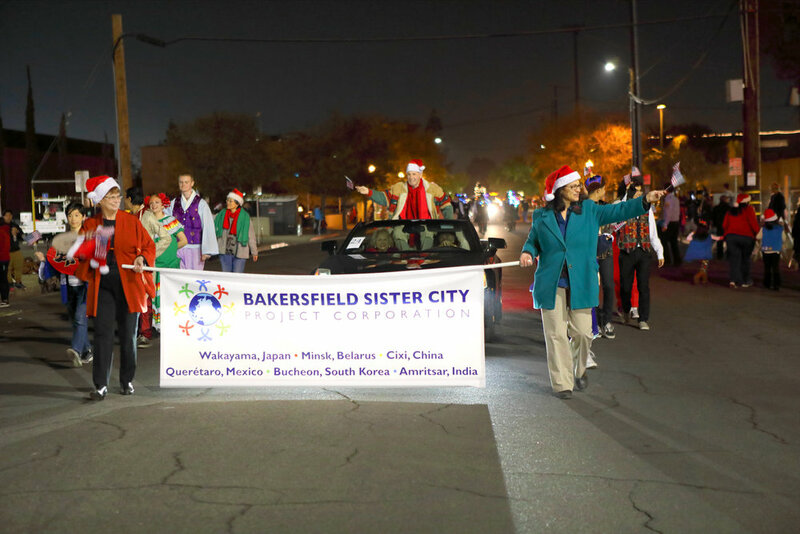 Promote peace by providing opportunities for the residents of Greater Bakersfield to experience different cultures through education, social, and economic interaction. Please also visit Music of Bakersfield website and learn about our mission. Thank you.